When I speak with colleagues in the Civil Service, I am always taken aback by the number of people who give up their free time to help a cause they believe in. Volunteering brings not only a positive personal feeling – the experience gained can pay dividends for the individual and the organisation they are a part of. Personally, I am a trustee of two charities, to which I try to give some time, not only to share my experience but to learn from other trustees and those the charity is concerned with. A couple of months ago, I met with a group of Ministry of Defence (MOD) civil servants who are volunteering their time to raise the profile of the the Civil Service Lifeboat Fund (CSLF). The CSLF was established by civil servants in 1866 and is an official charity of the Civil Service. Since the Fund began, 5,000 lives have been saved as a result of the money it has raised to buy lifeboats (52 to date), equipment, and training for the Royal National Lifeboat Institution (RNLI), the charity that saves lives at sea. Although the CSLF is a strong and recognised charity in some government departments, it is rather unknown in the MOD. The group I met is looking to change this by establishing fundraising committees across the defence estate. 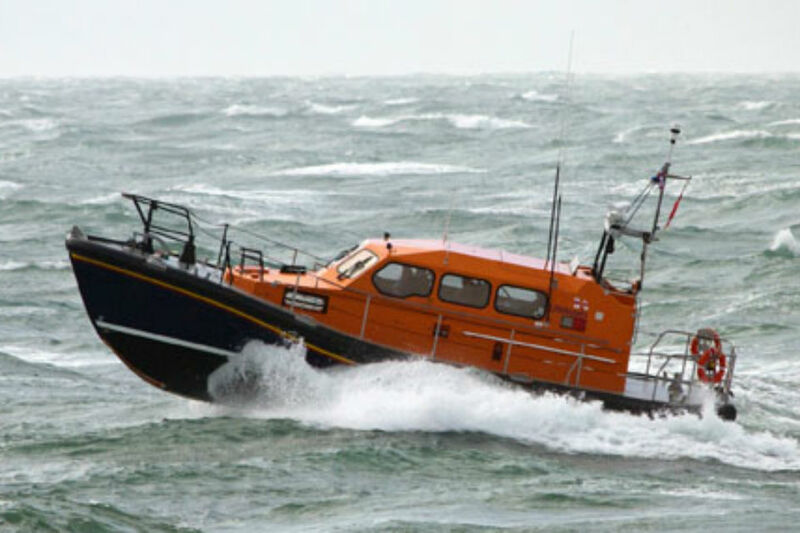 This will support a wider Civil Service effort to increase fundraising revenue in order to raise £1.1 million to purchase a Shannon class lifeboat that will be stationed at Wells-next-the-Sea in Norfolk – which happens to be my home county – in 2017. There was a successful launch event at MOD Main Building on 9 April. The First Sea Lord, Admiral Sir George Zambellas, in his role as Vice Patron of the Lifeboat Fund, opened the event and was joined by Paul Boissier, Chief Executive of the RNLI, and Conrad Bailey, the Prime Minister’s Defence Advisor and a trustee of the Civil Service Lifeboat Fund. The event was attended by representatives from the MOD, RNLI and The Lifeboat Fund, as well as MOD colleagues interested in supporting the cause. Members of the Wells’ RNLI lifeboat crew were also on hand to talk about their personal experiences and explain how the new class of lifeboat is vital to ensuring that they can continue to provide an on-call, 24-hour lifeboat search and rescue service. Support for causes such as this is important, not just for the charities themselves but for the opportunities and experiences they offer to those who volunteer. The new Civil Service Leadership Statement is clear in identifying the need for us to reward initiative and innovation and to invest in the capabilities of staff. By championing such initiatives we can help our colleagues to deliver fantastic results, while seeing them stretch, develop and gain vital experience outside the Civil Service. I see supporting this cause as an excellent opportunity to get involved with something really worthwhile and that I’m personally keen to see afloat.